Cornus is a genus of woody shrubs and small trees from temperate regions of the Americas, eastern Asia and Europe. Commonly known as Dogwood, the genus of Cornus offers a wide variety of flowering shrubs, foliage plants, and small trees for almost any soil type. The flowering species like Cornus kousa are grown for their showy bracts that appear in spring and early summer. The deciduous species like Cornus alba are grown for their uniquely colorful stems whereas the winter flowering species like Cornus mas are grown in colder climates. Most species of Cornus are quite easy to grow. They are not fussy about their growing requirements and do well in almost any soil. They are frost hardy plants that grow 10 to 20 feet in height but are easily pruned to achieve desired shapes. These lovely plants can be grown from seeds or cuttings and require full to partial sun. Generally, Cornus grow well in rich, well-drained but lightly moist soil under sunny conditions. Cornus kousa (Kousa dogwood) grows as a small deciduous tree with dense and fresh green foliage. The plant produces lovely flowers or bracts of cream color in early spring followed by formation of berry-like drupes. Cornus alba (Siberian dogwood) is a deciduous shrub that produces woody branches and small flowers. The plant is grown for winter interest when it sheds its leaves and wears hues of bright-crimson on its twigs. Cornus x ‘Venus is grown for its splendid creamy flowers that appear in mid-summer. The plant grows as a small tree and attains the height of 10 to 12 feet. Cornus x rutgersensis ‘Stellar Pink’ is a lovely plant with dark green foliage that changes many colors (orange, red, yellow and pink) before falling in autumn. The plant blooms in summer and grows up to 20 feet. Cornus kousa ‘Miss Satomi’ is a known for its dense and prominent pink flowers that appear in summer. It makes a lovely addition to the garden because of its pink flowers and autumn foliage. Because of their flowers, colorful foliage and interesting stem colors, Cornus are popular plants among horticulturists and gardens who use them in garden borders, garden screens, and mass plantation schemes. Schotia is a genus of flowering shrubs and trees from tropical regions of southern Africa where it is known for its ornamental flowers and foliage. Most plants in this genus grow as flowering shrubs often growing in to small trees that can be used for shade or ornamental purpose. The flowers of Schotia grow in large clusters in spring and spread their lovely shades of bright red and pink. Schotia make excellent ornamental plants because they do not have messy growth and do not require much maintenance. 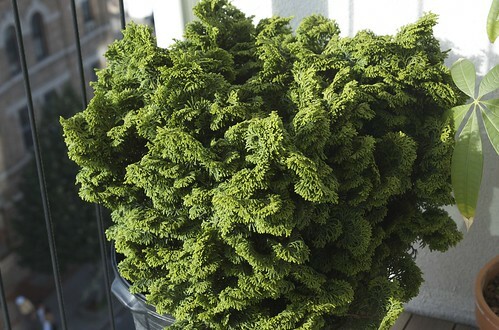 Most species of Schotia would grow up to 5 m, and produce attractive evergreen foliage. Propagation is easy from seeds or cuttings. Popular species of Schotia include S. afra var. afra and Schotia brachypetala. Artocarpus heterophyllus or the Jackfruit tree, as it is popularly known, is an evergreen tree from tropical lowlands and rainforests of the Indian subcontinent and Southeast Asia. It is also grown in some parts of Africa, and the Americas for its foliage and fruit. The jackfruit has a special significance in the history, culture, flora and lifestyle of the Southeastern countries of Asia where it is known by many names including Katthal, Pila and Panos. The tree has been grown in this region for several hundred years as an excellent source of food and timber. Even today, it is an important part of the local flora mainly because of its edible fruit which is one of the biggest tree-borne fruits. The round or oblong fruit grown on trunks and weights as heavy as 36 kg. Typically, the fruit has green skin dotted with small spikes. Inside the fruit is found jelly-like pulp that tastes like banana, apple and pineapple. The fruit is consumed ripe or unripe and eaten raw or cooked in several traditional recipes. Besides its fruit, the jackfruit tree is a good source of timber that is used in the manufacturing of furniture and other wooden items. The timber, when seasoned and polished, gives a rich mahogany-like look. Flowers of the jackfruit tree are quite unusual in shape. Both male and female flowers appear on the same tree in early spring. Artocarpus heterophyllus grows into a large tree and produces dense foliage thus making it a good shade tree. Usually it prefers a rich soil under bright sunlight. In native rainforest, the jackfruit grows quickly to form a sturdy structure. Quite hard to find on local nurseries, Amherstia nobilis is a lovely tropical tree known for its showy orchid-like flowers of crimson and red colors. 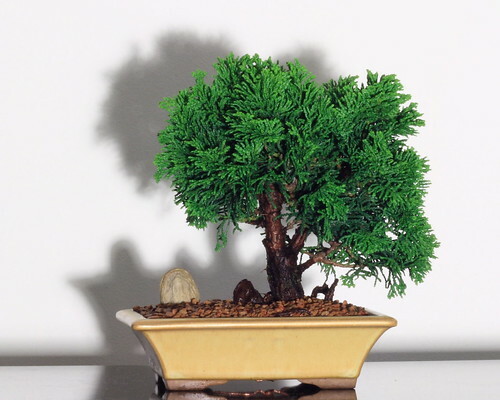 It is a slow growing tree that grows up to 12 meters and produces beautiful foliage. Amherstia nobilis is native to tropical forests of Myanmar (Burma) from where it has been collected for cultivation. Because of obscure information about the origin of the plant, slow growth rate and difficulty of growing it from seed, Amherstia nobilis is not widely available for cultivation, thus limited to private collections and specialty growers (Kukiat’s Gardens has a nice collection of Amherstia nobilis). Anyways, the tree is worth growing in your garden as it produces beautiful furled foliage and a great profusion of large and showy flowers. Flowers of Amherstia nobilis have shades of crimson, pink, red and yellow. These colorful flowers appear on drooping branches and create a spectacular show when in full bloom. This is the time when it attracts birds, butterflies and by-passers. In fact, it is rightly called Pride of Burma and sometimes Queen of Flowering Trees. As Amherstia nobilis is strictly a tropical tree, it requires a lot of sun, moderate water and protection from long spells of frost and cold. The tree can grow in ordinary soil mix that provides good drainage. Crotalaria is a large genus of flowering shrubs and trees from the Fabaceae family to which popular flowering trees like Laburnum, Orchid Tree, and Wisteria belong. Most species of Crotalaria are indigenous to Africa where they grow in tropical climates as flowering shrubs or small trees. Crotalarias are popular plants among horticulturists because of showy, yellow flowers that look like fluttering birds giving these plants their common names – Bird Flower and Canary Bird Bush. Most species bloom in spring. Flowering is followed by formation of hallow seed pods containing large seeds that rattle when dried seed pod is shaken, that is why these plants are also known as rattlepods. A popular garden plant from this genus is Crotalaria agatiflora which grows as a small tree and produces large yellow flowers in spring. Crotalaria capensis is another popular species which is grown as a fast-growing and small tree. Most species of Crotalaria prefer moderate watering, bright sunlight and a regular soil mix. Nyctanthes arbor-tristis has many popular names – Night Jasmine, Coral Jasmine, Sad Tree, Parijat and Lover’s Tree. The plant justifies all of these pretty names. Legend has it Parijataka who was a beautiful princess fell in love with the sun but the sun deserted her. The mournful princess committed suicide. From ashes of the sad princess sprung a beautiful tree. Unable to stand the sight of the lover who left her, the tree blooms only at night and sheds its flowers before the sun rises. The plant growing in my garden is now 5 years old and these days it is blooming profusely. Every day, I see a carpet of white flowers under the ‘sad’ plant. Anyway, Nyctanthes arbor-tristis is a nice plant to grow in the garden. It is not fussy about soil or water. In fact, it is quite hardy and prefers a little neglect. Nyctanthes arbor-tristis grows as a shrub or a small tree (up to 5 meters). The coarse leaves cover straggling branches and make it a good foliage plant for filling in empty spaces in the garden. Small flowers of white color with orange center appear in summer. These scented flowers are rather short lived – they bloom at night and drop before rising of the sun. Nyctanthes arbor-tristis grows natively in tropical climate of Pakistan and spreads across tropical regions of India, Bengladesh, Nepal and Thailand. Besides its ornamental value, Nyctanthes arbor-tristis has various medicinal uses. The leaves are antibacterial and are used for the treatment of fungal infection, cough, and snakebite. Flowers are source of a yellow dye which is used to color clothes. The lovely flowers of Nyctanthes arbor-tristis are also used in Hindu rituals and for preparing garlands that is why it is the plant is also known as Haar Singhar (meaning: beautification or make up). Melaleuca is a genus of evergreen shrubs and small trees from Australia. The genus is known for its horticultural use as well as medicinal effects and soothing properties. Melaleuca are popular ornamental plants in tropical or sub-tropical climates where they are grown for their vibrant foliage and attractive flowers. The foliage is usually fragrant, the trunk has silvery bark, and the flowers that resemble the blooms of Callistemon are white, yellow, pink or red. The plants in the genus of Melaleuca vary greatly in their size. Some species grow as shrubs that grow up to 3 – 5 meters whereas some of the species grow into small trees that can gain the height of 6 – 8 meters. Melaleucas can be grown easily from seeds or cuttings. They prefer sunny exposure, a well drained soil and regular watering. M. nesophylla (Tea Myrtle) – Small tree (up to 6 meters) with spongy bark and pompon shapes flowers of pink color. M. lanceolata – Clustering shrub (up to 5 meters) with small and narrow leaves. White flowers resembling bottle brush appear in summer and attract a lot of birds and butterflies. M. huegelii (Honey Myrtle) – Evergreen shrub (up to 3 meters) with dense clusters of spiky flowers of white or pink color. M. trichophylla – Small spreading shrub with globular clusters of pink, reddish pink or purple flowers in late winter to early summer. M. lateritia – Commonly known as the Robin Red-breast Bush, M. lateritia grows as an erect shrub (up to 2 meters) and produces attractive red flowers in summer.